Place salad leaves into a shallow bowl. Top with yellow papaw and prawns. 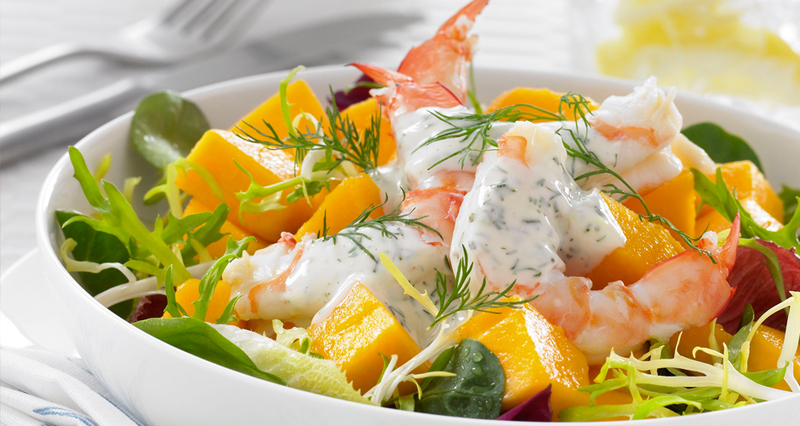 To make aioli, place mayonnaise into a small bowl, add lemon juice, lemon zest, garlic, dill, salt and pepper, mix well. Pour aioli over the prawns and garnish with sprigs of dill.